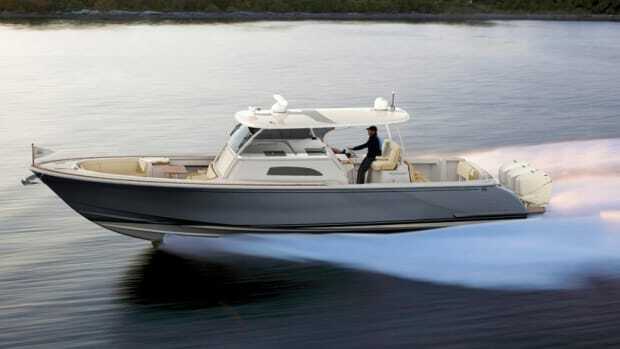 Hinckley Yachts took the wraps off its all-electric Dasher at the Newport International Boat Show in September. 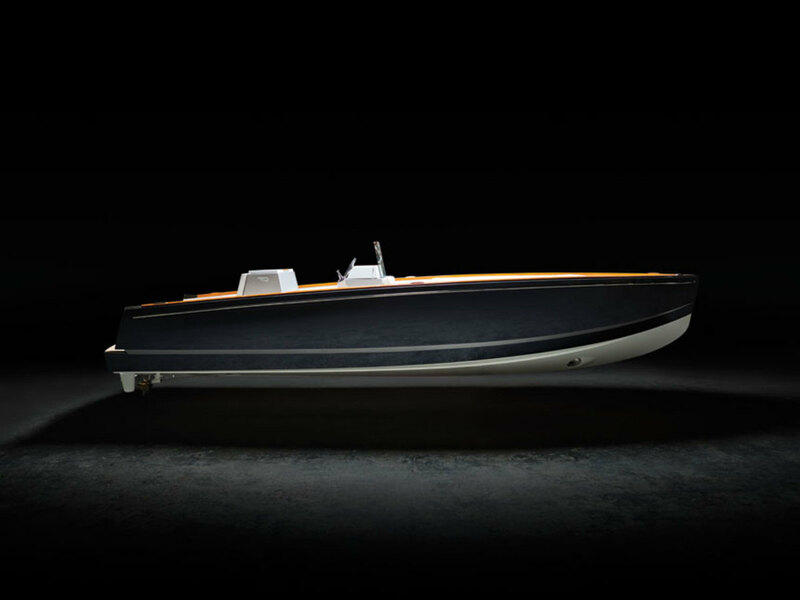 A new concept for the iconic boatbuilder, the Dasher is being marketed as the world’s first fully electric luxury yacht. The Dasher has a pair of 80-hp Tor­qeedo electric motors powered by twin 40-kwh BMW i3 lithium-ion batteries. 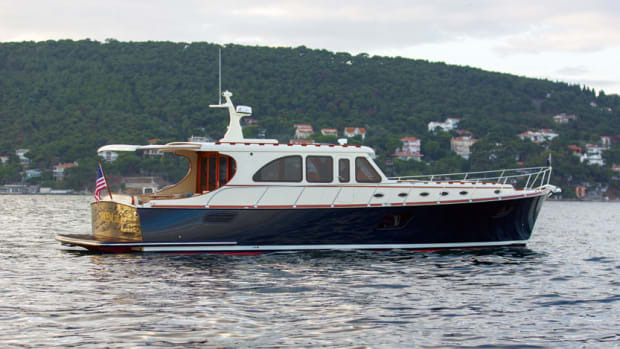 The boat has a 40-mile cruising range at 9 knots and sports a 16- to 23-knot fast cruise/top speed. 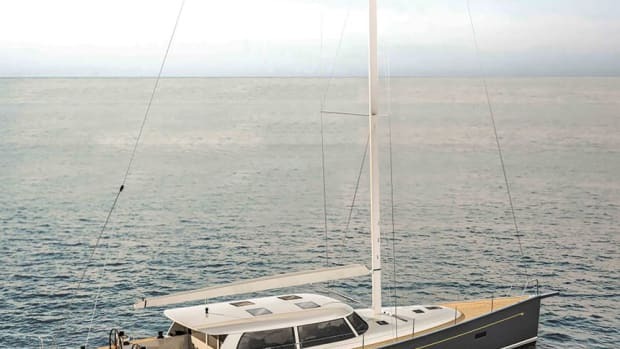 A dual 50-amp charging system works with standard dockside shore power cords and tops off the batteries in less than four hours. 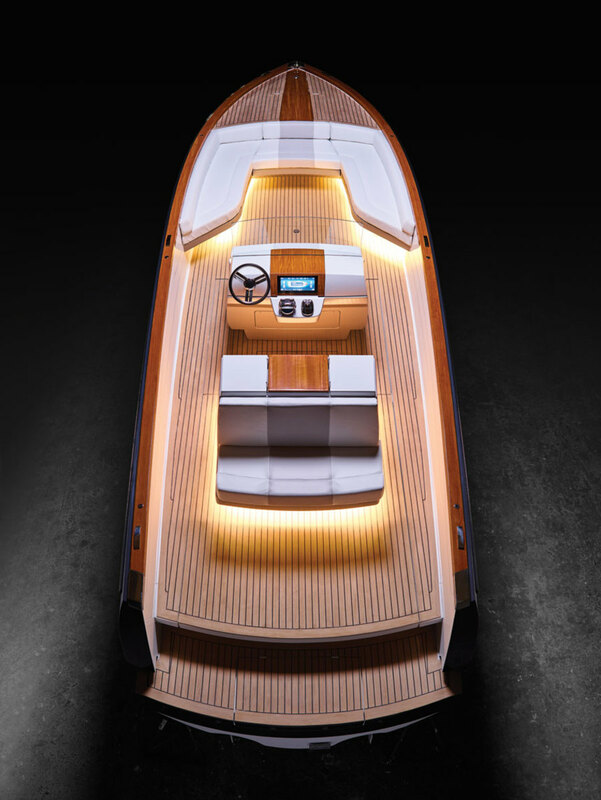 “The Hinckley Whisper Drive silent propulsion system combines the latest hydrodynamics, electric power and digital control systems to achieve the performance handling and maneuverability that discerning clients will expect,” says Peter O’Connell, president and CEO of The Hinckley Co. 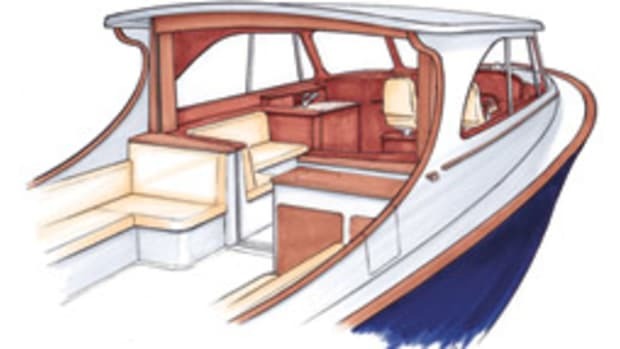 The open layout has a U-shaped bow lounge, an upholstered bench seat forward of the center console and a two-person helm seat with bench seating abaft it. 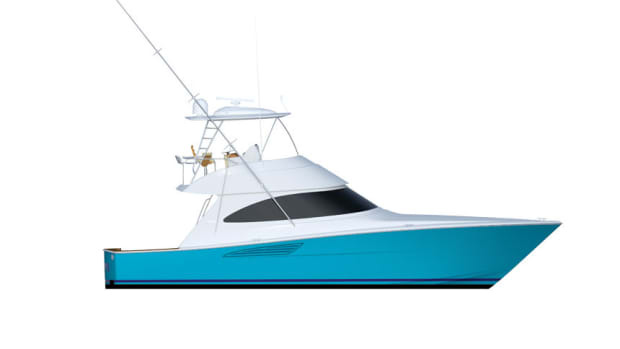 A glass windshield protects the helm and dash, and it lowers electrically for chats between the skipper and guests in the bow. The dash and console have titanium elements crafted using a 3-D printer. 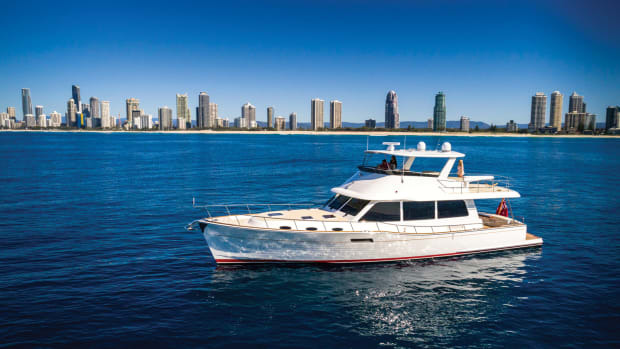 The helm has a multifunction display, engine controls and a joystick that, with the bow thruster, allows easy handling in close quarters. An open transom enhances water access. Hinckley says the next available construction slots are for summer 2018 delivery. 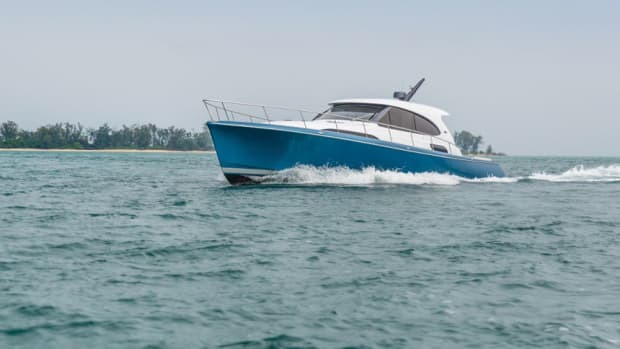 Hinckley recently took the wraps off its Sou’wester 53, a carbon-epoxy pilothouse sailboat that Tripp Design Naval Architecture drew for cruising families. 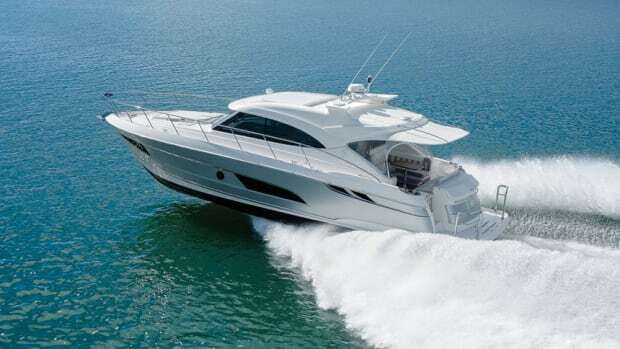 Palm Beach Yachts recently took the wraps off its GT50 Express, the first model in a lineup of performance-oriented sport yachts.